A great way to organize information about characters, historical figures, or biographies! I used this in my 5th grade Social Studies class to organize information about Explorers. 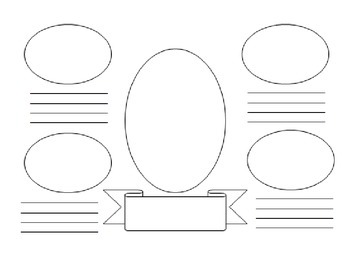 In each bubble students printed or drew pictures illustrating events in their lives. A simple and clean way to compile reserach!